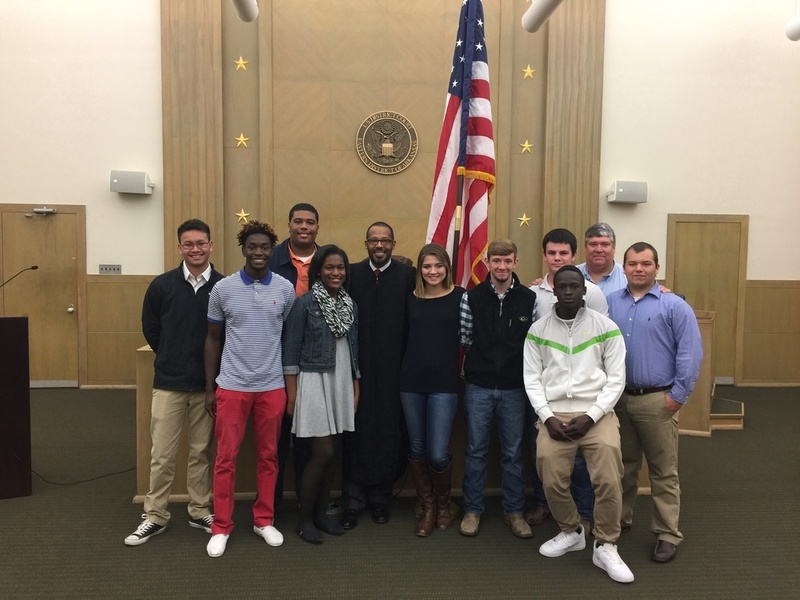 Students from Coach McCaffrey 's AP- US History class were invited by Judge Brian Miller to the U. S. District Court for the Eastern District of Arkansas for a naturalization ceremony for 35 immigrants who became citizens. Judge Miller met with Coach McCaffrey and the students to explain the ceremony and asked the students questions about the process. The students and Coach McCaffrey would like to thank Judge Miller for this opportunity and that we learned a lot from this experience!